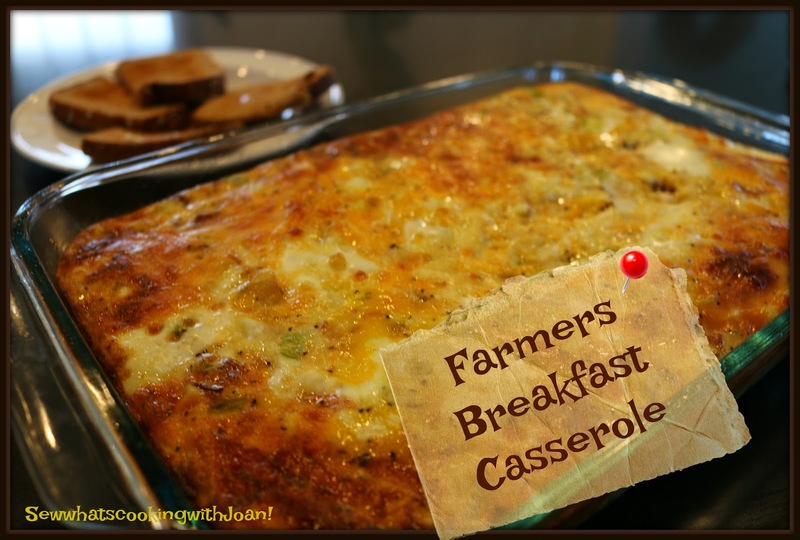 I made this Farmer's Breakfast Casserole the other morning for two of our children and their families, 10 people total! We met our family at a home we rented on the Oregon coast for a long week end. This Farmer's breakfast was so easy and scrumptious! It is perfect for the holiday brunch, a family get together or a brunch for the soccer team! 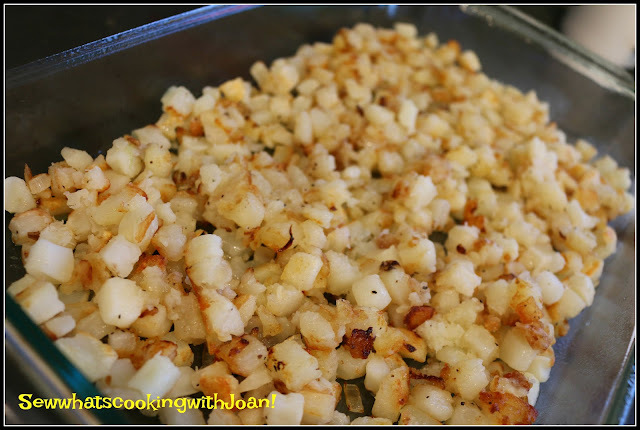 You can do all the preparation the night before and pop it in the oven in the morning or just make it all in the morning, either way, it is perfectly delicious! This morning meal has everything, bacon, eggs, hash brown's and cheese! Heat the oil in a large non stick pan and add the potatoes. Fry up to lightly browned. 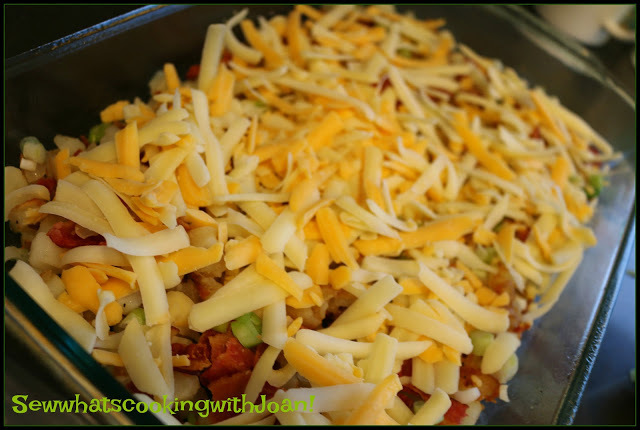 Layer the potatoes on the bottom of the cake pan, then bacon, cheese and green onions. *For Instant Pot layer in 2 greased heat proof round cake pans that fits into your IP. In a bowl, mix together the evaporated milk, eggs, salt and pepper. Pour over the potato mixture. Bake for 45-50 minutes, until eggs or set. Allow to set for 10 minutes and serve! Pour 1 1/2 cups of water into your IP and set the trivet inside. Place your heat proof pan with egg mixture on top of trivet. Lock lid and set to high pressure for 10 minutes with a Quick Release when the time is done. Loosen the edges and flip onto a plate! Enjoy! For more Instant Pot recipes click on Master Recipe List! 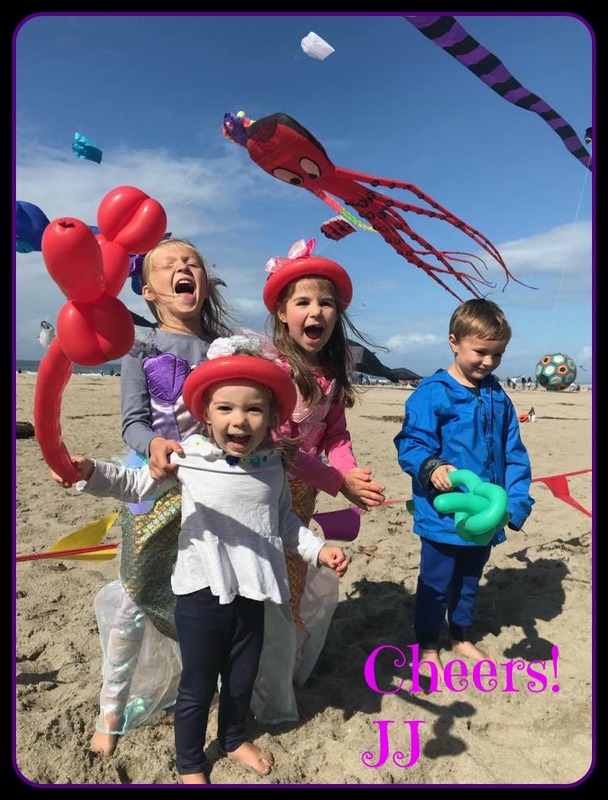 Our grand children at the beach! Thanks for this recipe. I am just starting to use my IP and made this in a bowl that fit into my IP. I made with sausage and the family loved it. I like that it is condensed milk too.